There is no denying that the Kentucky Derby is the truest definition of fashion in the South. The tradition of showcasing the finest spring trends runs just as deep as the greatest two minutes in sports. This iconic event gives both men and women a grand opportunity to showcase their best looks from head to toe, literally. Your look is just as important as your final bet, if you ask me. To start things off, I like to consider the dress as a crucial piece of the Derby Day outfit puzzle. It’s truly the glue that holds this statement-making look together. Some say to start with your hat first, but I always say dress first, hat second, shoes and accessories third. Follow below for tips on how to find your winning dress. Can you eat and drink comfortably? It’s as simple as that, ladies. Good news for the ladies! Extremely elevated styles and trends have impacted the fashion world this spring, especially in the dress department. Necklines and waistlines have changed quite a bit, impacting the way dresses are worn and styled. I, for one, love a unique neckline on a dress. While the opportunity is there, I say take it and run with it. Play up your sense of style with a few key trends that will have you standing out from the rest of the crowd this Derby. In previous years, I recommended keeping the dress simple to let your hat have a shining moment. My opinion has slightly changed over the years, as bold colors and print mixing have become more popular. Today I suggest not shying away from a print or vibrant shade on your dress. If you shop for your dress first, you can select a hat that best compliments your dress. I say go big or go home in all departments of your Derby outfit. Last but not least, consider this purchase an investment. Your Derby dress should be a fit, style and print you can see yourself wearing again and again. This dress should not be a one-time wear. Pick something that has versatility and functionality for a few different occasions. For instance, ask yourself if you can wear this to a wedding or an event this season or next. Can you see yourself styling this in the future? Before you say “yes to the dress,” make sure it’s a smart choice. With these key tips to finding your winning dress, you should have all of the luck in the world you need this Derby Day. 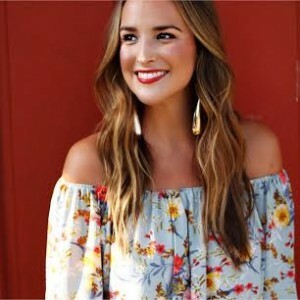 Alex McLean Sharp is the owner of LexWhatWear.com. Check out her site for more excellent fashion advice.